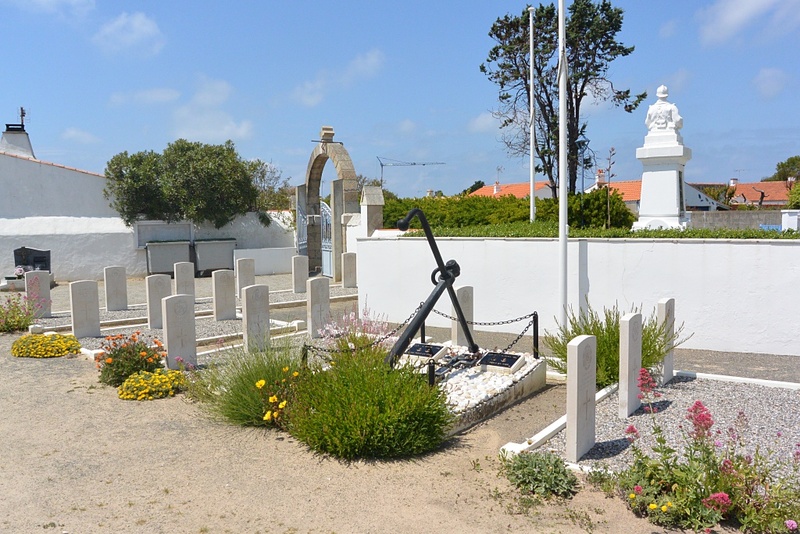 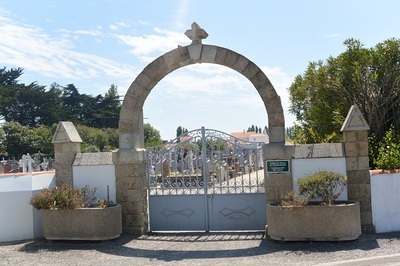 L'Épine communal cemetery is situated near the centre of the island of Noirmoutier and is about 100 metres south-west of the church. 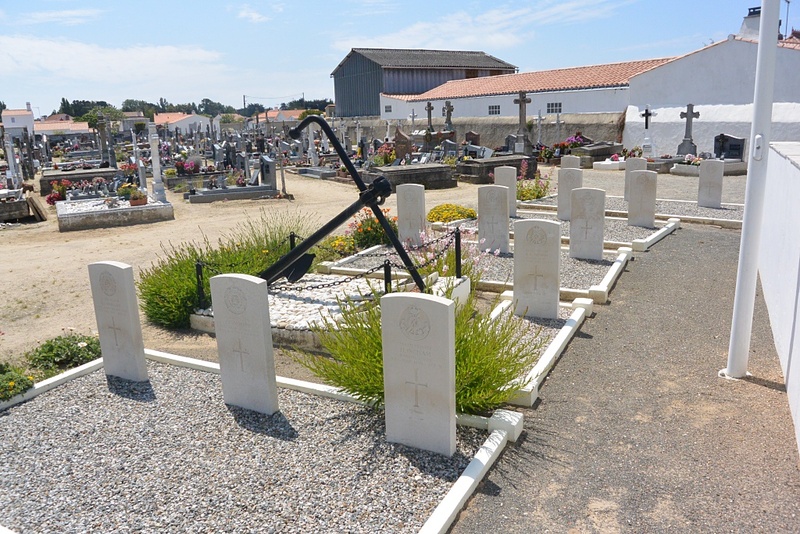 There is a traffic-carrying causeway, the Passage du Gois, connecting the island with the mainland. The nearest large town is Nantes which is 82 kilometres north-east of the south-east corner of the island. 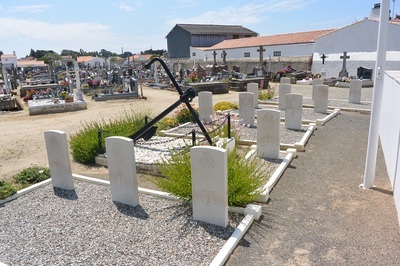 There are 16 Commonwealth burials of the 1939-45 war here, 1 of which is unidentified.